We're officially into the season and I've started to receive e-mails about upcoming tests. If you want to announce a schedule in advance (remember, be safe about it), e-mail it to me and I'll list it here. With any luck, maybe a few stations will be heard by more people and in other continents. Pink Panther Radio from Holland is planning to broadcast for approximately five straight days, from Dec. 26-31 on 6798.5 kHz. The station has been heard by a few DXers in North America, so this should be a good opportunity for new listeners to tune in. Brian Justin, WG2XFQ, will be broadcasting a tribute to to honor Reginald Fessenden’s Christmas Eve 1906 AM voice transmission. The tribute was also aired on 12/24 and 12/25, but I forgot to mention it here. Kilokat7 logged the station in Michigan on HFU, so there are possibilities for listeners in the Northeast to hear it. The schedule is 486 kHz (longwave) from 0001-2359 UTC. This was advertised by the ARRL, so I'm sure everything's legal, but I guess I need to take a look at the rules that allow someone to broadcast music on this frequency with 500 watts. Interesting possibilities! Much more info is available on the ARRL site. Dear friends of shortwave radio, something is happening on 6070 kHz. We hope, during nighttime, too; this should make reception possible in the U.S.
For this transmission we would be glad to get detailed reception reports, esp. Shortwave, that will be aired on Sunday 22nd, from 10 to 12 UTC. 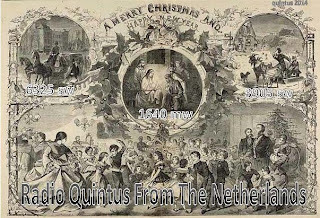 (using Google Translate) This year, we spotlight our Christmas program on 24, 25 and 26 December 2013 through 24 hours of on the frequency 6305 kHz. 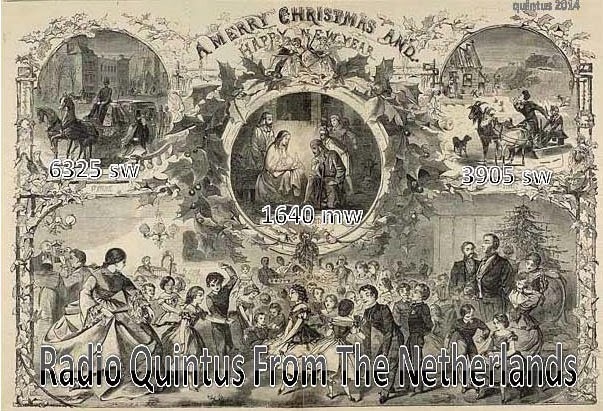 In addition, we are on 25 and 26 December 2013 from 20.00 to 24.00 clock to listen to 6070 kHz.